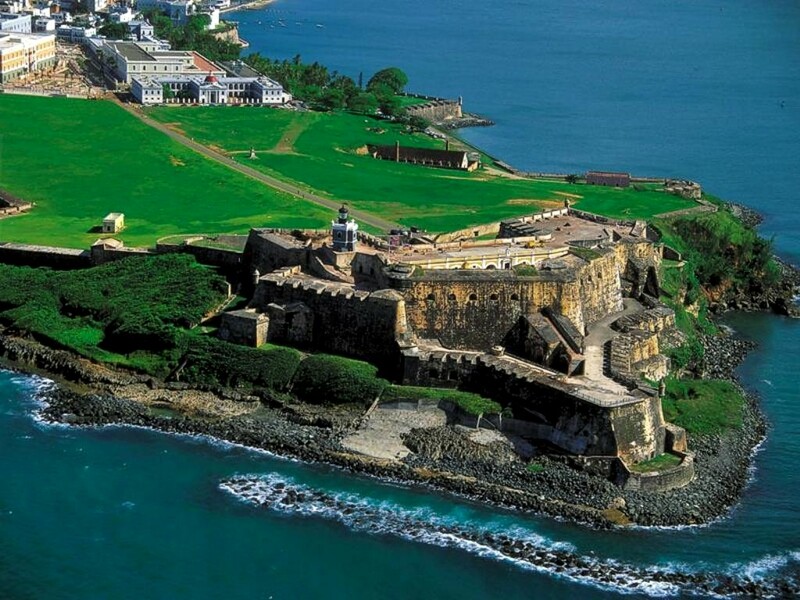 El Morro is a Spanish fort that was built in the 16th century, when Puerto Rico was under Spanish rule. It was used to protect the city from enemies and pirates arriving by sea. It is now considered a National Historic Site and is open for visitors, so go and enjoy a beautiful view overlooking the Atlantic Ocean! 2. Enjoy a piña colada, at the place they were created! If you’re like me and you love this tropical and delicious concoction of blended pineapple and coconut, you should definitely stop by Barrachina. 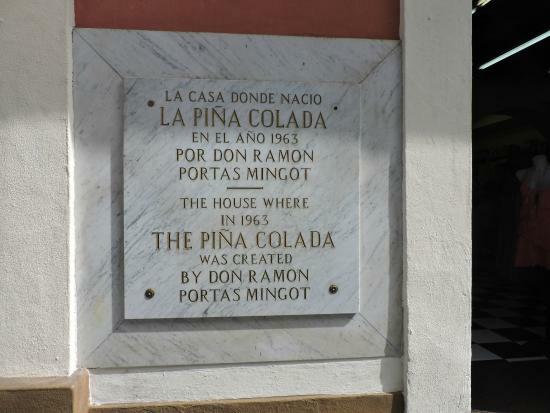 The first ever piña colada was created at this restaurant, and they even have a plaque in front of it officially naming it the birthplace of the piña colada. If you’re a fan of the ocean and want to explore the beautiful reefs beneath it, you should definitely go scuba diving at El Escambrón. 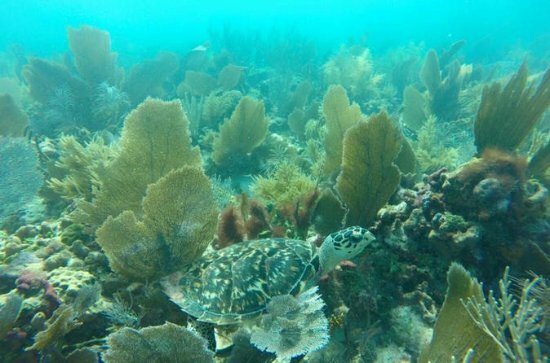 Here, you can schedule a scuba tour, where instructors can guide you and show you the colorful corals and aquatic life that live and thrive beneath the surface. 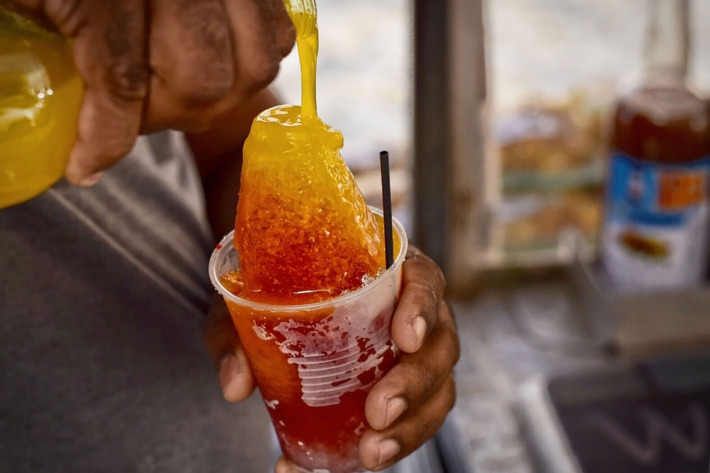 A piragua is like a snow cone; it consists of shaved ice that can be topped with many different flavored syrups including coconut, pineapple, strawberry, guava, and my all time favorite: passionfruit. Old San Juan is filled with piragua vendors so you can easily buy one for around $1 to help keep you cool while you’re exploring the city. This is definitely a Puerto Rican tradition you cannot miss out on! 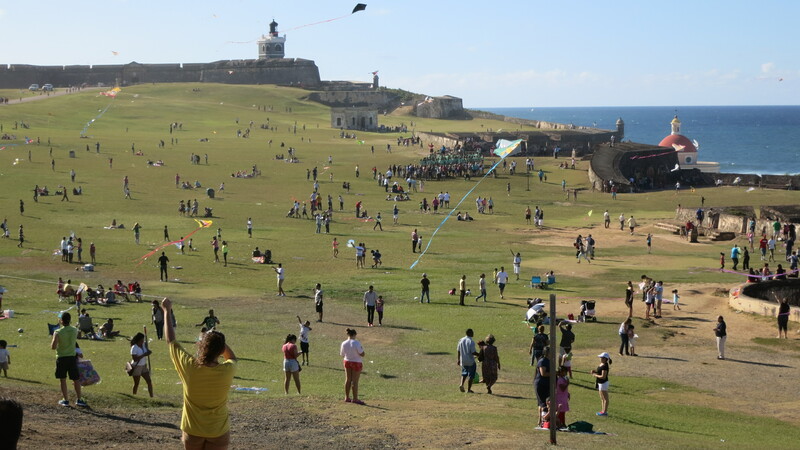 The lawn by El Morro is always filled with children flying their kites. I have very fond memories of doing this during my childhood. Since El Morro is located by the coast, it is always windy, making this lawn perfect for kite flying any time of the year! 6. Enjoy the local food! Near the famous San Sebastián St. you can find this gem: a door with the Puerto Rican flag painted on it in black and white. This door has become an icon of San Juan in the last couple of years and now you can always find people taking pictures in front of it. 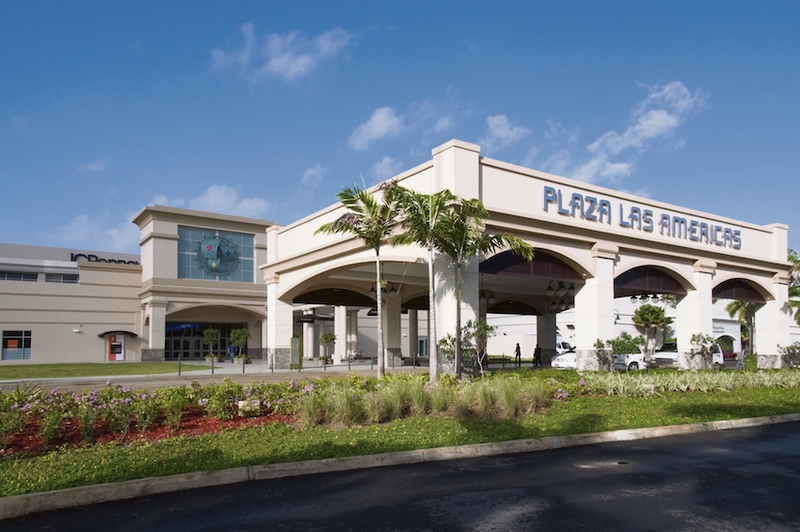 If you love shopping, you have to stop by Plaza Las Américas. It is the largest mall in the Caribbean and the second largest in Latin America! The shopping mall consists of three floors with over 300 stores, including shops such as Abercrombie, American Eagle, Sephora, Zara, and many more. If you’re looking for yet another way to keep cool during the warm weather, buy a paleta. A paleta is a popsicle and it also comes in various refreshing flavors. My favorite paleta is the strawberry flavored one from a place called “Señor Paleta” in Tetuan St. If you're looking to have a fun night with friends on the weekend, The Placita is the place to be, with its energetic and lively atmosphere.The Placita is a place where you can enjoy good food, drinks, and music, since it's packed with many restaurants, bars, and clubs. If you want to have a chill night, you can go grab a bite with friends or, if you're looking for something a little more exciting, you can dance salsa till dawn. There are also so many other things you can do in Puerto Rico outside of San Juan, such as visiting the Bacardi Rum Factory, ziplining at Toro Verde, visiting El Yunque National Rainforest, kayaking in a bioluminescent bay, etc. Whether you’re exploring the island of Puerto Rico or the city of San Juan, you can never run out of things to do. Sofia was born and raised in San Juan, Puerto Rico. She's now a Junior at Boston College, pursuing a Major in Communications and a Minor in Italian. She loves going to the beach, listening to music, dancing, and singing.